Austria is renowned worldwide for its rich musical and artistic traditions, while the capital city of Vienna is prized for its architectural beauty. In addition to these magnificent cultural highlights, Austria also enjoys status as the 12th wealthiest country in the world, with a robust economy fueled largely by tourism, agriculture, trade, and industry. These factors have come together to make Austria an appealing destination for countless US expatriates. While American expats living in Austria may get to reap the benefits of a dynamic national history and a high standard of living, they are still required to report worldwide income to the Internal Revenue Service (IRS). 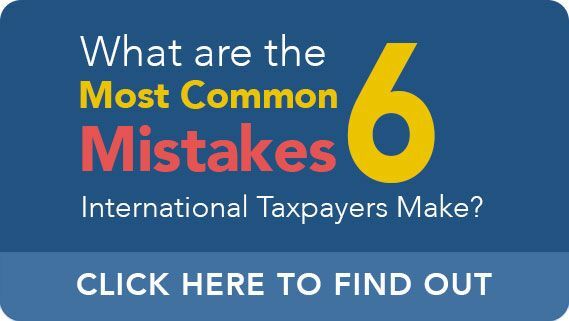 The IRS is well-known for aggressively pursuing and penalizing non-compliant taxpayers regardless of which country they call home, and Austria is no exception to this rule. If you have expatriated to Austria and have any doubts, questions, or concerns about your US tax liabilities and reporting requirements, it is absolutely critical that you consult with an experienced CPA like Ted Kleinman. Ted has over three decades of experience helping international taxpayers strategically and effectively resolve their tax disputes, minimize their liabilities, and negotiate with the IRS. To speak confidentially with Ted, call US Tax Help right away at (541) 923-0903.
Who Does the IRS Consider a Covered Expatriate? In short, covered expatriate status is generally undesirable as this designation can lead to unfavorable tax consequences. For example, if a covered expatriate makes a gift or bequest to a US citizen, meaning money or property (such as an inheritance), the person receiving the gift or bequest is typically subject to a devastating 40% tax liability. Your net worth met or surpassed $2 million on the day you expatriated to Austria. You were unable to certify tax compliance with the IRS, dating back five years prior to your expatriation, via Form 8854 (Initial and Annual Expatriation Statement). It is a common and dangerous misconception that only the very wealthy can be covered expatriates. Regardless of an individual’s financial background, any taxpayer may find themselves contending with covered expatriate status arising from non-compliance issues such as failure to file or failure to pay tax. Ted Kleinman will help you understand how covered expatriate status impacts you and your loved ones’ tax liabilities, and can guide you through the general reporting requirements for US citizens and residents abroad. Failure to pay and/or file an income tax return is not the only compliance issue which can place taxpayers into legal and financial jeopardy. There are also significant civil and criminal consequences to failure to file an FBAR. FBAR, which stands for Report of Foreign Bank and Financial Accounts, was designed to discourage and crack down on the concealment of funds and assets with foreign banks and foreign financial institutions (FFIs). Note that FBAR is not to be confused with FATCA, or the Foreign Account Tax Compliance Act, which strives toward the same objective by requiring that certain taxpayers file Form 8938 (Statement of Specified Foreign Financial Assets). While their ultimate goals are similar, Form 8938 is not a substitute for FBAR, which must be filed electronically via the BSA E-Filing System using FinCEN Report 114. FinCEN Report 114 replaces the previous form, TD F 90-22.1. But who must file an FBAR? FBAR filing requirements apply to individuals who had “financial interest in or signature authority over at least one financial account located outside of the United States” (in this case, Austria), provided the aggregate value of the account surpassed $10,000 at any point during the year. Incidentally, non-willful failure to file an FBAR can result in a $10,000 civil penalty. Willful failure carries a $100,000 penalty. Why Participate in the Streamlined Offshore Procedure? Put simply, the civil and criminal penalties for many tax violations are absolutely devastating. Unfortunately, the civil penalties, while harsh, tend to pale in comparison to the criminal consequences. Tax evasion, for example, carries a potential $250,000 fine as well as a maximum prison term of five years. 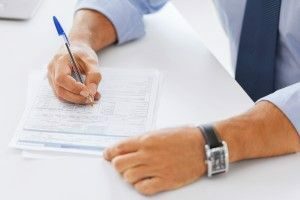 The criminal penalties for failure to file an FBAR are even more severe: a fine of up to $500,000, in addition to a maximum prison term of 10 years. 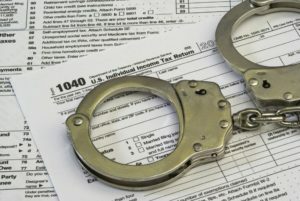 Even comparatively “minor” tax crimes, such as failure to file a tax return, can lead to one year in prison and $100,000 in fines. If you’re a US expatriate residing in Austria, or if you are planning on expatriating to Austria in the near future, it is of the utmost importance that you review and resolve your tax liabilities and compliance issues before your tax situation worsens. Keep in mind you will not be permitted to participate in the Stream Offshore Procedure once the IRS has already begun a civil investigation into your activities. Don’t wait until it’s already too late: call US Tax Help right away at (541) 923-0903. Ted also provides tax help for US expats in Germany and American expatriates in Switzerland.